Comcast email alert: don't click that link! As of last week, Comcast is facing a federal class-action suit over its Xfinity routers which, if the lawsuit allegations are correct, forces unwitting customers to pay higher electric bills and other costs to operate Comcast's wi-fi network. For its part, Comcast openly admits that the Xfinity routers it sends to home users also serve as the infrastructure for its public wi-fi network; Comcast merely denies that customers have any reason to complain about this, let alone reason to sue. In other news, consumer advocate and “tech skeptic” Bob Sullivan reported (and later got snagged by!) another surprise cost Comcast has apparently inflicted on certain consumers: sending and billing them for modems they never intended to order. Last week, on Dec. 3, Sullivan shared a story he'd got from a reader who received and was charged for a new Comcast modem he didn't want — $160 for the modem, plus $8 monthly fees. 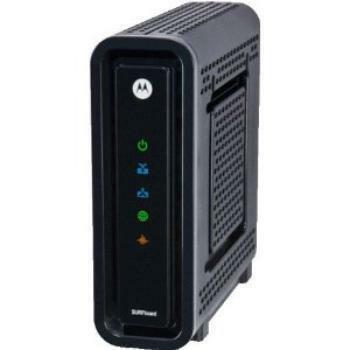 “Comcast modem upgrade acts like a computer virus email; some complain about surprise fees,” Sullivan reported, and also showed an alleged screenshot of an email from Comcast: under the bold-print headline “How to get your replacement modem,” Comcast urged readers to click on a link – a genuine, non-spammy Comcast link – with “deviceupgrade” in its address. After initially reporting the story, I spent two days talking with Comcast, which said Mr. Funkhouser had received the wrong email in error, that the links were working as designed, that there were no widespread complaints, and nobody was really getting boxes they didn’t want. Guess what showed up in the mail within 48 hours? unlike anything I’ve ever seen, There was no entering an address. There is no checking on a box. There is no confirmation page to speak of. And there’s certainly no chance to say, “Stop, I didn’t mean to do that!” It is so abrupt that I didn’t actually in my wildest dreams imagine I had ordered a new box. In the computer virus world, there’s a concept called “drive by download” — merely visiting a page triggers download of malicious software. This is Comcast’s version of drive-by ordering. Incidentally, if you have Comcast and want to avoid the risk of paying electricity costs for Comcast's wi-fi network, and also want to avoid paying monthly router or modem rental fees, you can buy your own router and/or modem. Of course, Bob Sullivan has his own, and that still didn't stop Comcast from mailing him and charging him for a new one, but since the company apologized and said it's going to refine and improve its processes, we can safely assume no Comcast customer will ever suffer a problem like this ever again. Right?